Have you heard of soy curls? Everyone has been talking about them, and I assumed they would be highly processed, but I was wrong. 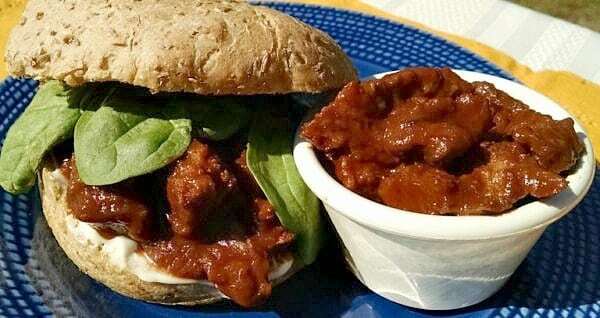 This soy curl recipe makes the best vegan barbecue sandwich ever. Soy curls are simply non-GMO soybeans that have been cooked to the point where the soy breaks apart into strands. Then they are dried and packaged. That’s it! 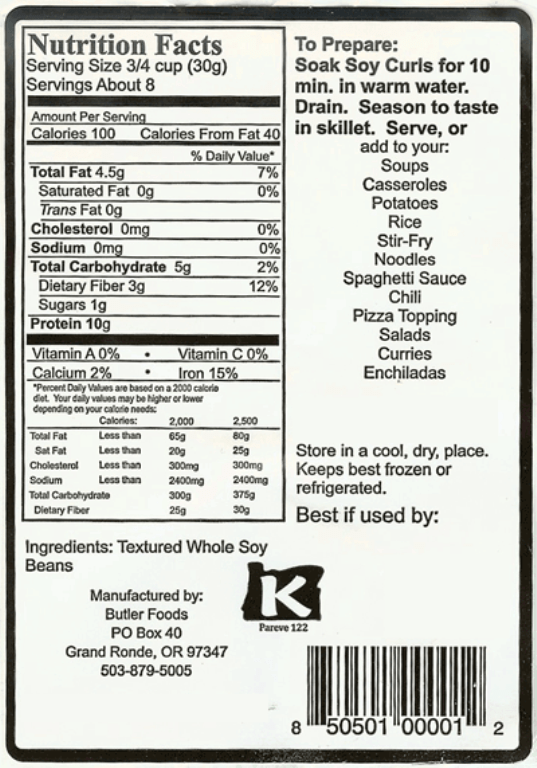 Take a look at the label for yourself–just soy beans. Back in 2016, I was working at the Global Roots Plant-Based Cooking Summit with a friend, and fellow Food for Life instructor, and she introduced me to these soy curls. As a matter of fact, she demonstrated how easy they were to cook with to our whole group. And they they taste delicious! One thing she taught us was that, though the package says they can be rehydrated with hot water, the best way to do this is with hot veggie broth. The broth gives the curls so much more flavor. Just give it a try! You won’t be disappointed! My family has been making barbecue sandwiches with seitan strips for a long time, so they are always an option as well. If you would rather use seitan, it is available at Earth Fare, Whole Foods, and many other health food stores. My family also likes to make barbecue sandwiches with seitan. 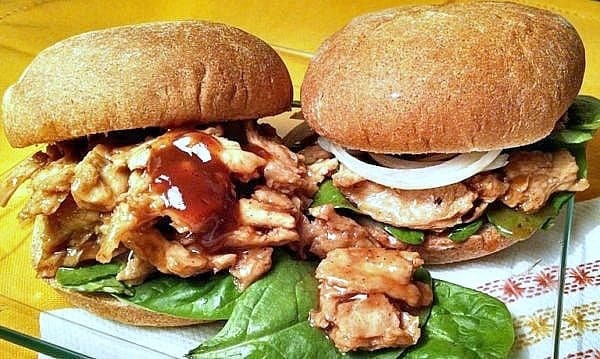 Click photo to see our barbecue seitan sandwiches. 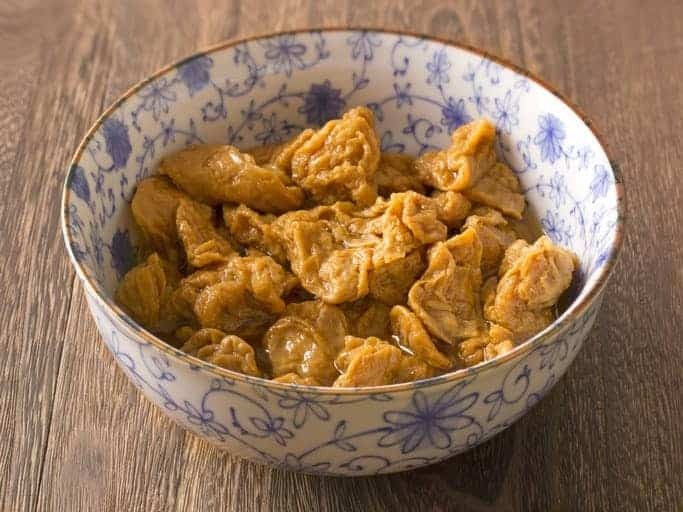 Seitan, also known as wheat meat, is a vegetarian meat substitute made from wheat gluten, soy sauce or tamari, ginger, garlic and seaweed. Vegan barbecue sandwiches are a favorite at my house. Theses sandwiches happen to be one of my husband’s favorite meals. We just add fresh spinach leaves, onions, and pickles. Often we serve them with a garden salad, slaw, corn on the cob, or baked French fries. I have two favorite slaw recipes to serve with these sandwiches. One is my traditional Country Cole Slaw, and the other is Carolina Red Slaw. Either one of these is terrific paired with barbecue! Red Slaw is a delicious addition to barbecue. These barbecue sandwiches will be a hit, no matter who you feed them to! No kidding! Dinner can be ready in 10 minutes flat! Just add fresh lettuce, onion, and pickles. These soy curl (or seitan) barbecue sandwiches will be a hit, no matter who you feed them to. 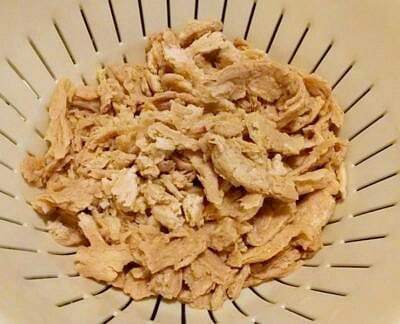 Since soy curls are dried, they will need to be reconstituted using hot water or vegetable broth. I recommend using veggie broth, because it adds so much flavor. 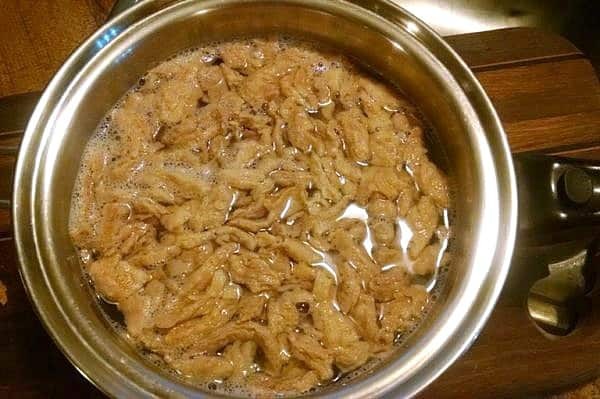 It only takes about 10 minutes of soaking, then they are ready to be used in sandwiches, stir fries, or anywhere you would have used chicken strips. After soaking, drain the broth. No need to cook; just add them to your favorite dishes. They have a chewy, meaty texture and absorb the seasonings and sauces of whatever they are being used in. They taste kind of bland by themselves, but once you add the flavorings for the dish they are to be used in, they soak it right up. 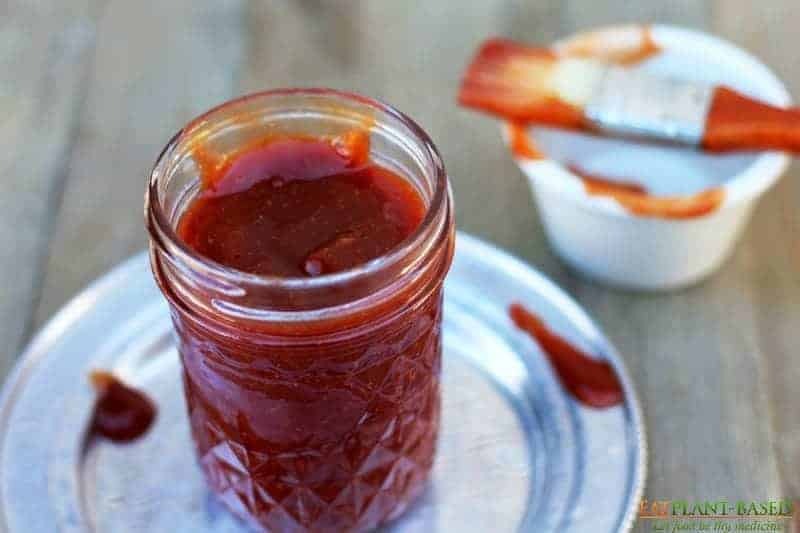 For this recipe, just add your favorite barbecue sauce and heat for about a minute in the microwave or on stove top. 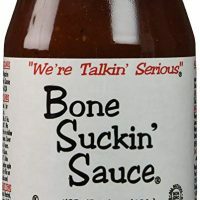 I have included a link to oil-free Bone Suckin Sauce below, as well as a recipe link to a sauce you can make yourself. We serve ours with fresh spinach leaves and onion slices. So easy and delicious! 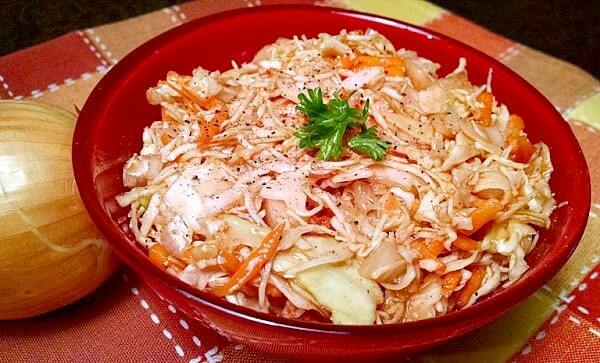 To make this in a crock pot, simply follow step #1 by soaking the soy curls. 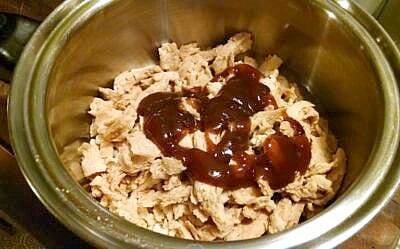 Once they are reconstituted, add them and barbecue sauce to a large cooker and allow to cook on low for 1-2 hours. This will give them plenty of time to soak up the barbecue flavor and be even more delicious. Now I am ” wondering ” If these 2 soy products ,would actually be better to eat than TOFU!? Being thier from the soy bean, is there really any difference health wise? Also what is the $$$ price difference? LOT of ?? ?s thanks! I’m 73 now and want to learn more about what I’m putting into my body? Josette, the seitan is actually a wheat product, and the soy curls are soy. 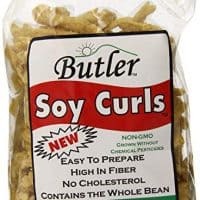 I am not sure how exactly the curls compare nutritionally to tofu, but I would think they would be very similar. I cook with both tofu and soy curls. The texture is completely different, so I like having the diverse options for a variety of dishes. Price-wise, I think for the most part, tofu is less pricey. It’s exciting to hear that you are interested in learning more about your health. Best of luck and health to you! The soy curls are gluten free, so you would just need to serve on GF bread. So cool. Actually, Indians, Sri Lankans, and I imagine several other South East asian cultures have been using dried soy products like these soy curls for eons. My Sri Lankan friend served me wonderful curries made with such products many years ago. Delicious and wonderful for creating a meat-like texture. Next time you are in an area with some good Indian groceries, check out the shelves for something like this. I’ll bet you anything they’ll be less expensive. I can’t remember the name they had for these products. What terrific information! I actually buy many of my spices at an Indian grocery store and will definitely look for soy curls (or whatever they may call them) when I’m in there next time. Their prices are so much cheaper for spices and other items, I can’t wait to see if they have these curls. Thanks so much for sharing! I ordered the soy curls and made this dish. It was great. I wanted to try and make vegan “shrimp & grits” using these. Any idea how I might season the soy curls? That sounds good!! I’ll try that. Thanks! I finally got some Soy Curls and they are great. I highly recommend them. Thanks fir sharing your recipe Terri! Are they amazing?! I did learn quickly to soak/rehydrate them with veggie broth instead of water to add lots of flavor. Have you tried freezing it after you made it? I have not tried freezing them but think they would do well, if you want to give it a try. I freeze ot all the time. It’s perfect when thawed…. just reheat…I reheat in the microwave.